I have these shoes in 3 different colors, I have these corduroy's in 3 different colors. When you truly love an item, I highly recommend you purchasing in more than one color (bad influence). I've had these shoes for years and wear them as if were are recent purchases. Love this monochrome outfit. You look lovely. pink is my fav color. love this look and the pop of yellow! I love pale pink and neon paired together! You're rocking the head-to-toe color looks lately doll. Be sure to check out my Stella & Dot trunk show + giveaway! Siempre tan elegante!! me encanta!. very pretty I love all the colors! 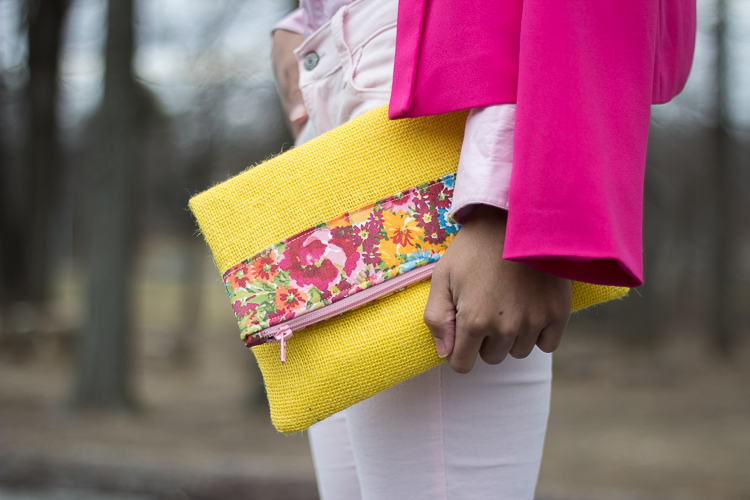 love the clutch, Ashley! you look lovely, per usual. Loving the whole look here. But I love the color and shape of your shoes even more, Stay blessed.